Westfield in Bloom: Here They Go Again! 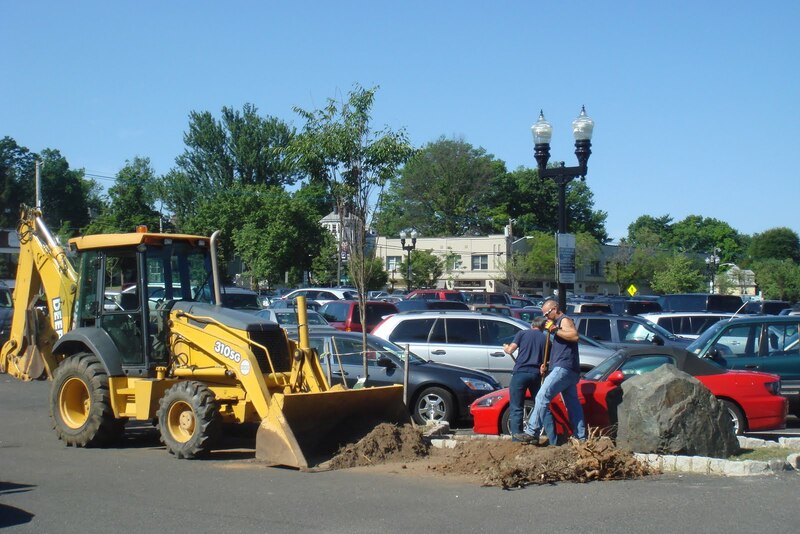 Gerry and Dennis of the Town of Westfield Department of Public Works (DPW) was at it again this week. 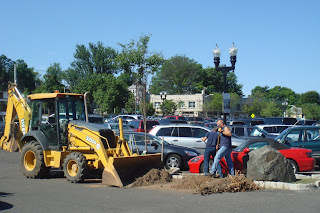 After repairing the belgium block curbing on the islands in the South Avenue parking lot, they ripped out the old and tired landscaping to put river rock in the island beds. Yea! Thanks Gerry and Dennis (again!) and of course, thanks to the Town of Westfield and the DPW supervisors (Claude particularly) for assigning them to improve that area! The America in Bloom judges will be impressed with all of the projects that DPW has taken on when they visit July 11-13, 2010.